The 4th International Workshop on ‘Applications of ICTs in Education, Healthcare and Agriculture’ was held from 25th to 27th July 2017, in Abuja, Nigeria. The workshop was hosted by the National Space Research and Development Agency (NASRDA), Federal Ministry of Science and Technology (FMST), Nigeria. The event was jointly organized by the Commission on Science and Technology for Sustainable Development in the South (COMSATS); the Islamic Educational, Scientific and Cultural Organization (ISESCO); and the Inter Islamic Network on Information Technology (INIT). The workshop was attended by around 250 participants belonging to Egypt, Jordan, Nigeria, Pakistan, Palestine, Sudan, and Sri Lanka. 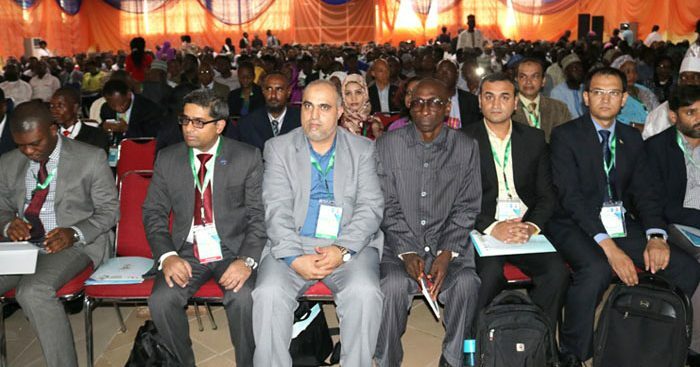 The primary objective of the workshop was to expand knowledge and capabilities of the participating scientists, researchers and professionals belonging to developing countries, particularly Nigeria, regarding the cutting edge innovative ICT-based technologies and techniques used in Education, Healthcare and Agriculture sectors. The workshop was inaugurated by H.E. Dr. Ogbonnaya Onu, Federal Minister for Science and Technology, Government of Nigeria, on 25th July 2017. The inaugural ceremony was attended by distinguished guests belonging to universities, R&D organizations and government departments of Nigeria. Mr. Asim Ali Khan, Head of Chancery, High Commission of Pakistan in Abuja, was among the distinguished guests at the ceremony. During his keynote address, the honourable Minister stated that the major difference between the developed and the developing countries is the effective utilization of science, technology and innovation. He considered the information and communication technologies (ICTs) an effective tool for creation of wealth, strengthening economies, and achieving sustainable prosperity. The honourable Minister highlighted the recent initiatives of the present Government of Nigeria for the promotion of science, technology and innovation for achieving economic progress, including Nigerian Economic Recovery Roadmap (2017-2030). 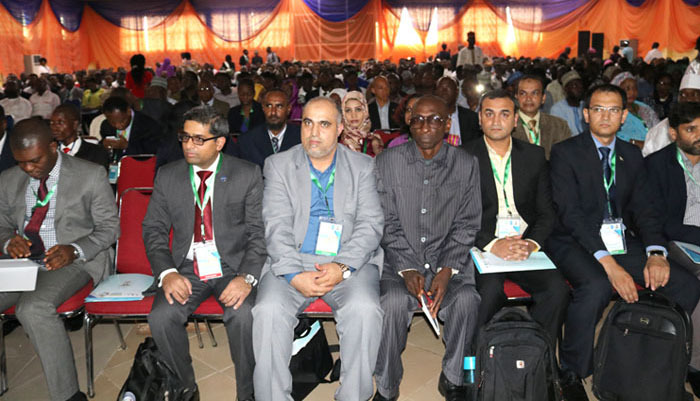 He thanked COMSATS, ISESCO and INIT for selecting Nigeria to host this important event, and pledged that the Nigerian Federal Ministry of Science and Technology will continue collaboration with these organizations in future. Earlier, Mrs. Belema Wakama, Permanent Secretary, FMST, Nigeria, warmly welcomed the local and foreign speakers and participants. She stated that it would require a collective vision and commitment to transform the socio-economic landscape in the developing countries. She informed that the internet and mobile penetration is constantly increasing in Nigeria as well as other developing countries. In this regard, she recognized the transformative poser of ICTs and their potential contribution towards achieving the sustainable development goals. Mr. Farhan Ansari, Sr. Assistant Director (Programmes), COMSATS Headquarters, conveyed the Message of Dr. S. M. Junaid Zaidi, Execu tive Director COMSATS. In his message, Dr. Zaidi stated that during the last five decades, ICTs have brought a revolution in every sphere of life. He stated that the applications of ICTs, including e-Government, e-Commerce, e-Education, e-Health and e-Environment, are considered as enablers for socio-economic development, as these technologies can provide an efficient channel to deliver a wide range of basic services in remote and rural areas. ICT applications can facilitate in achieving the sustainable development goals, including reduction in poverty and elevation of health and environmental conditions in developing countries. Dr. Zaidi introduced COMSATS as an intergovernmental organization striving for science-led sustainable socio-economic uplift of the developing counties. He shed light on the ongoing activities of COMSATS to develop and strengthen linkages among the countries of the South for the exchange of resources, technology, and knowledge, including organizing and sponsoring scientific capacity building events and coordinating research activities. 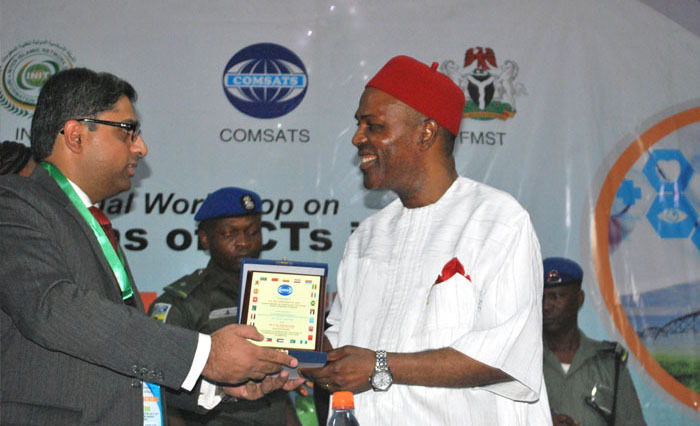 He thanked ISESCO, INIT and NASRDA (FMST) for joining hands with COMSATS to organize the workshop. The message of the President INIT, Prof. Dr. Raheel Qamar, was delivered by Dr. Khalid Latif, Associate Professor, COMSATS Institute of Information Technology, Pakistan. In his message, Prof. Qamar stated that today’s era is the pinnacle of human evolution, which has witnessed the zenith of technological advancement and modernity. He informed that INIT has always been mindful of all necessities for the achievement of this ambition and the present workshop is a transpiration of a series of efforts by INIT focusing particularly on the needs of Education, Healthcare, and Agriculture sectors. The ceremony was concluded with the Goodwill Messages delivered by the representatives of Nigerian Federal Ministry of Education, Federal Ministry of Health, and Federal Ministry of Agriculture, while the vote of thanks was delivered by Pharm. A. Oguntunde, FMST (COMSATS-Nigeria Liaison Officer). The three-day event included three technical sessions one each on the applications of ICTs in Education, Agriculture, and Healthcare, which featured 16 technical presentations and invited lectures. The presentations made during the event, inter alia, related to: Optimizing Computer Based Test at all Levels of Education; Graduation Tracking System; Leveraging ICT for Distance Learning and Capacity Utilization; Evaluation of information usage with reference to the evolution of ICT; Using ICTs in Management of Universities; Actualizing Precision Agriculture in the Developing World; Role of Cognitive Automation in Education and Agriculture Sector; Improving the Use of GPS, GIS as Tools to help Agriculture Production; Integration of Satellite and RFID Solutions for Livestock Production and Management; Emerged Wireless Sensor Technologies and Monitoring Systems in Precision Agriculture Field; Environmental Information and Management systems; ICTs for agricultural development; Role of ICT in Malaria Eradication; and Telemedicine and HealthCare Delivery in the South-South. Each of the three technical sessions included a discussion session for assessing the present state of the use of ICTs as well as to formulate specific recommendations for the governments of the Member States of COMSATS and OIC for employing ICTs as a tool to strengthen the afore-mentioned sectors. The participants of the workshop made a number of recommendations in line with the theme of the event.